How many times have you heard about the upcoming “Robotics Revolution”? Probably a lot if you have been in Bucharest this week. 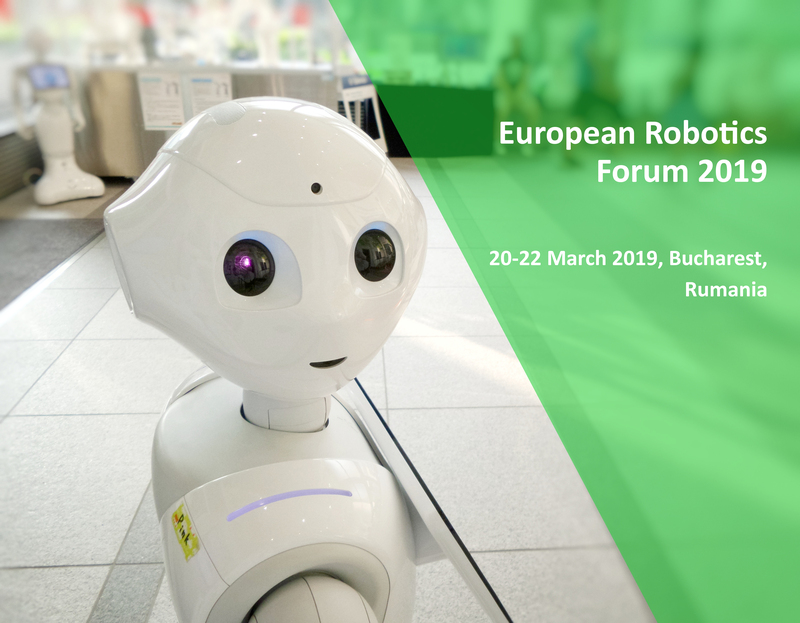 The capital of Romania has become the hub of the robotics industry in Europe for a few days, since it has held the 10th edition of the European Robotics Forum 2019 event (ERF 2019), on March 20th-22nd. FundingBox team couldn’t miss it since our #FundingGrowth has reached the robotics industry with our projects RobotUnion and RIMA (Robotics for Inspection and Maintenance). Our project managers Roi Rodríguez, Izabela Zrazinska and Nicolaj Nigaard were there to present the open calls. RobotUnion, funded by the European Commission’s Horizon 2020research and innovation framework and coordinated by FundingBox, supports robotics startups and SMEs on their road to success. 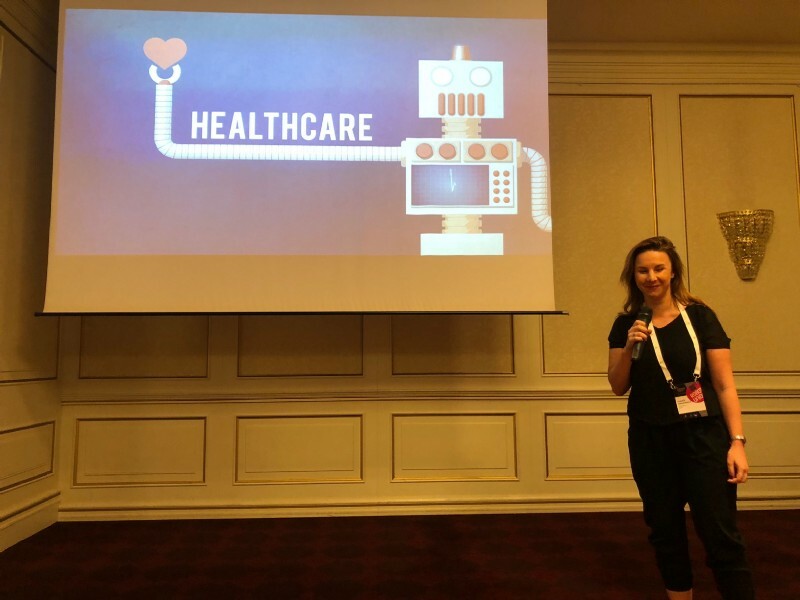 The robotics accelerator was one of the initiatives which got a lot of attention when discussing the future of robotics in Bucharest due to its focus on technical mentoring and generous funding. Fresh ideas of already accelerated startups from the 1st open call and the new ones which might be selected in the second open call were discussed among the robotics experts during the event. FundingBox used the opportunity to participate in a panel related to our 5 verticals: agri-food, healthcare, manufacturing, civil engineering, and open disruptive innovation to define challenges that startups should address their solutions. Izabela Zrazinska, RobotUnion project manager at FundingBox, explained the open call benefits and services among the projects invited to the ‘Traditional Funding Opportunities — Cascade Funding Panel/FSTP’ held on March 21st. Besides that, RobotUnion was also a part of the ‘Entrepreneurship Award’, whose winner, IM Systems, was awarded with the Fast Track option and direct invitation to the Jury Day in Warsaw which will take place in July 2019. In the FSTP session where RobotUnion was presented, FundingBox Project Manager Roi Rodríguez also introduced the AI4EU (Europe’s AI-on-Demand Platform) open calls, and our colleague Ali Muhammad, from our partner VTT, the L4MS (Smart Logistics for Manufacturing) calls. AI4EU is foreseen to have two types of beneficiaries: AI Prototypes to which individuals can apply and can get up to €6K and a two months support program; and Tech Transfer Experiments addressed to startups that can get up to €180K and a 9-month acceleration program. State-of-the-art technical support and access to “premier-class” technology provided by top research and technology organizations like VTT, DTI, TU Delft, TECNALIA, and PIAP. World-class training and high-level business mentoring by a pool of tier 1 mentors from Google, Airbnb, Ikea, Yahoo, Prisa, Microsoft, among others, provided by ISDI. Internationalization services. Presence in top EU Scaleups events such as 4YFN, Mobile World Congress, Slush, Web Summit and International PR exposure powered by Mobile World Capital. Engagement with world top industry leaders such as MADErepresenting world manufacturing leaders like Danfoss, Grundfos or Vestas among others; ARLA in agri-food; FENIN in healthcare, and FERROVIAL in civil infrastructure. Take a look at what some participating startups of the first open call have to say about RobotUnion and get inspired to make your robotics dream come true! Interested? If you need more information, join one of our Info Sessions organized by RobotUnion partners. But that isn’t all. Apart from the open call, RobotUnion is leading the discussion about the robotics revolution in the robot-oriented community. Thanks to the consortium partners, mentors and startups, they gathered more than 600 innovative disruptors, startups, SMEs, mentors, experts, investors, and more in RobotUnion Community, were the discussion is following in a fresh way. On top of that, RobotUnion open call applicants get real-time support from FundingBox team through the application process. Are you curious about RobotUnion Community on FundingBox? Join it now! You can also check our supporting communities who participate in the discussion about the future of robotics, and become part of the supportive community, spreading the word about our program. RIMA is a 4-year project, supported by FundingBox and funded by the Horizon 2020 initiative, aiming to establish a network of 13 Digital Innovation Hubs (DIH) on robotics sharing best practices and providing services to facilitate uptake of Inspection and Maintenance (I&M)technologies. It also aims to help small and medium-sized companies (SMEs) to develop novel solutions for different industry sectors. RIMA’s challenge is to reinforce this connection and to provide education and training on robotics I&M, and to connect the value chain -research, technology companies, service providers, end users and investors- for accelerating economic growth in the field. For that, it will offer services including support to testing and technology transfer, coaching and training on robotics for I&M, process optimization and communication. Up to 50.5% of RIMA’s budget will be distributed to SMEs to run experiments using FSTP. The main goal of RIMA is the constitution of a sustainable and scalable (open to new members) DIH network aligned with the industrial and European policies and ambitions. 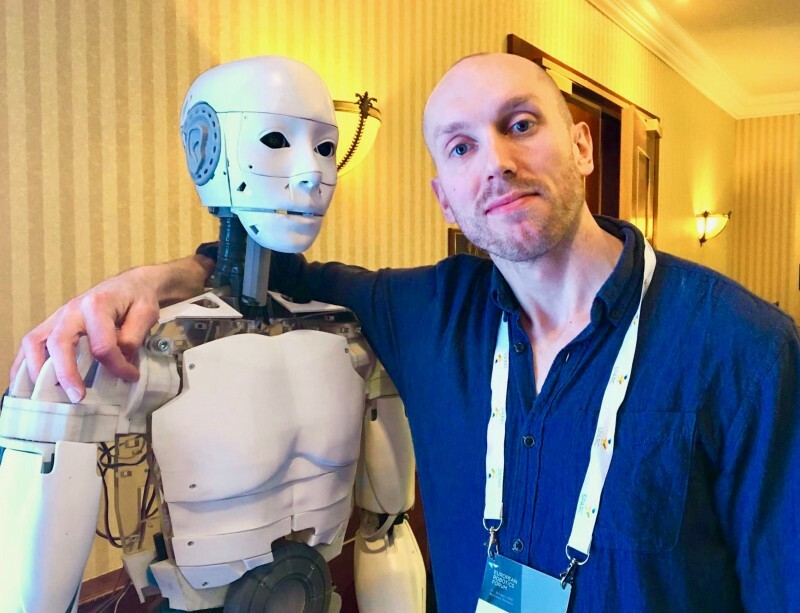 Nikolaj Nygaard, RIMA project manager at FundingBox, also presented the project and RIMA’s open call at the European Robotics Forum 2019. RIMA will select 50 cross-border Technology Transfer & Technology Demonstrator Experiments through 2 open calls. Startups and SMEs can apply, and a total of €8.1M funding will be distributed to support these experiments. Stay tuned, because the first RIMA open call will be launched this Spring! Do you think “the robots are coming”? At FundingBox we do, and we are coming with them!